About a month ago I shared the mason jar potato project. Since then I've gotten a little more involved. Again, turning to Chef Steps for inspiration, I found that they had a course on growing micro greens. 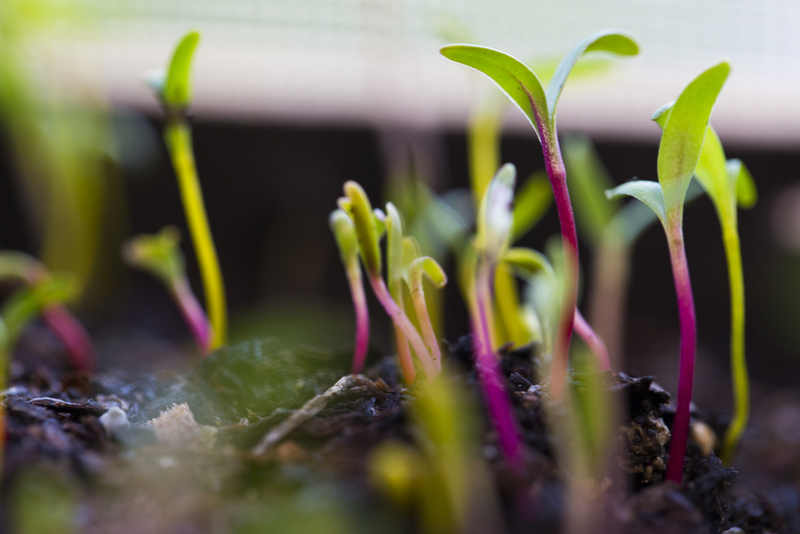 These small sprouts are really just the early stage of many common greens we eat daily. I wanted to grow a variety and mason jars just wouldn't cut it so I headed home to build a window box using the endless supply of scrap wood my dad has saved for years and years. Now to plant! Thanks to SeedsNow I could buy a bunch of seed sample packs for $.99 a piece and get hundreds of seeds which is more than enough to fill each 6x6 inch square. Four of the 5 boxes were filled with micros but SeedsNow had run out of watercress for me so they sent me a free lettuce starter instead. Broccoli, chard, kale, lettuce, and mustard. I did spend 10 hours of one day with a tripod occupying half my desk so that I could have my Canon with its 100mm macro lens snapping away at a time lapse. MaxStone makes a great bluetooth intervalometer that is controllable from my phone. Once I send the command to take a certain number of photos at a certain interval it will keep working away as long as the batteries don't die and I can walk away and come back hours later with all the content needed for a time lapse. 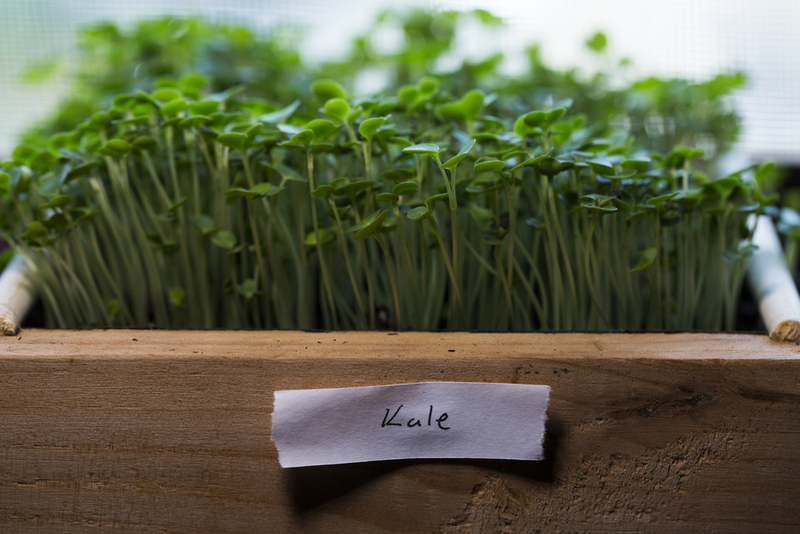 Microgreens have 10-100 times the nutrient and flavor density as the full grown plant (varies on how grown it is when you pick). This was probably the most interesting part of this adventure; the tasting. Broccoli has a distinct flavor of brussels sprouts, chard tastes like beets, kale resembles the grown plant fairly well, and mustard tasted like grey poupon, a french mustard made with white wine. I had not expected such variety in taste from little greens that all looked pretty similar. This past week all four of the micro plots have been reaching a size and flavor profile that resembled micro-maturity so I picked, washed, and ate. To celebrate being done with our chemistry final, Reuben brought over some sliced turkey and I picked some mustard and kale for some rather tasty finals week sandwiches. Post spring break will mark the start of round two microgreens. In the mean time, bring on the snow because Canada here I come.